Has someone objected to this postbox being red by attempting to paint it green? It is possible that An Post are returning it to its original green and only an undercoat has been applied but if that is the case the workmanship is very sloppy. Also, I have never seen a letterbox in Dublin without a logo. Most of the early pillar boxes were painted dark bronze green throughout the United Kingdom, but in 1874 the Post Office decided to make pillar boxes more obvious by painting them a striking royal red. With Independence the Irish Post Office changed the colour to green. 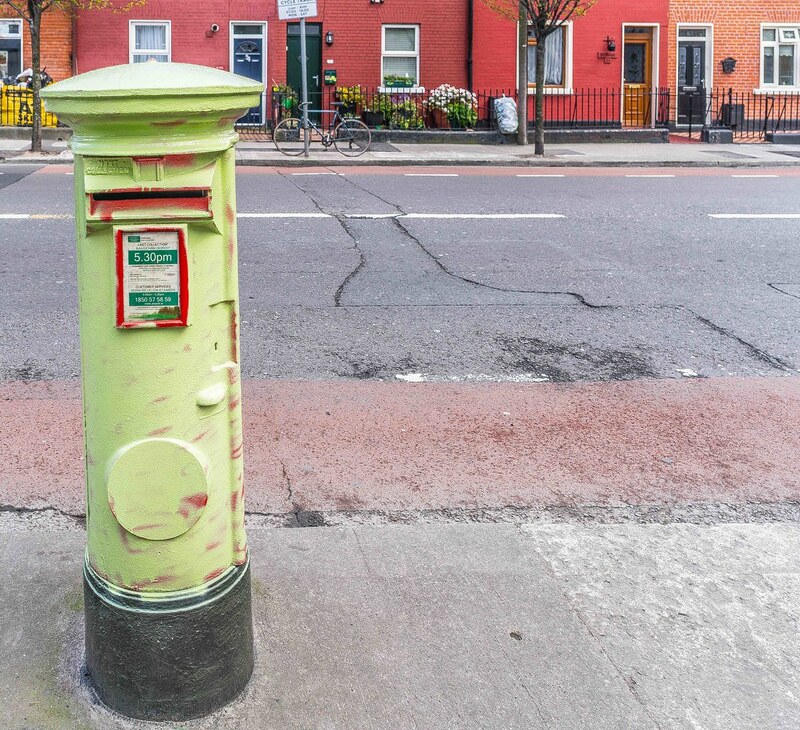 To coincide with the GPO’s Witness History exhibition An Post have stealthily a number of post-boxes around the city red as part of a “heritage campaign” that will run into the summer. Anna McHugh, head of communications for An Post, described the campaign as “based around the idea of post boxes as witnesses to history”. 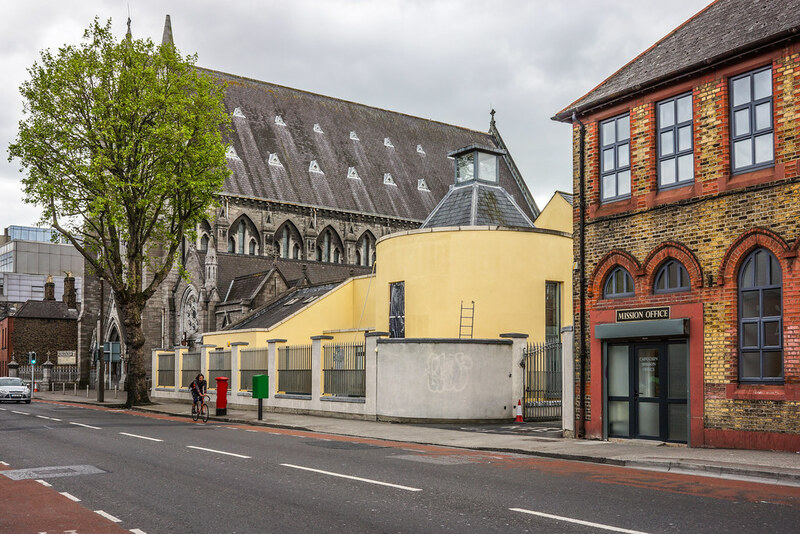 On the 21st April An Post unveiled the first five boxes at Liberty Hall, Grafton Street, the Royal College of Surgeons, Northumberland Road and Dun Laoghaire. Five more were added later. Each box invites passers-by to free-text the word printed on the side of the box to the number provided to access an immersive video clip revealing what that post-box saw during the events of Easter Week 1916. I have photographed a few of them and as they bear the P&T logo they could not have seen anything in 1916. The one in this photograph has no logo which is very unusual.